It is a gorgeous afternoon; the kind of lazy day that begs for time spent with friends and family. Wandering around the property, bikes and a tube or two (courtesy of riding through Littleton Open Space and floating down the Platte River) are scattered about. Snippets of conversations carry through the air, and the sound of laughter is everywhere. The ping of glasses clinking and the thump of bean bags hitting corn hole platforms causes smiles. Smells from different foods waft out of the kitchens, forcing stomachs to rumble. This scene could be from a wonderful family gathering, and that is exactly how people are meant to feel at Farm House at Breckenridge Brewery. 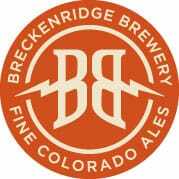 Breckenridge Brewery first opened in 1990 in Breckenridge, Colorado. As the demand for craft beer grew, a second location opened in downtown Denver in 1992. By 1996, however, it was time to move to another location with space for a larger brewhouse. After 19 years at that facility and with no more room for expansion, Todd Usry, the brewery’s president and his team set out to find a new home. Breckenridge Brewery’s new location was a beautiful 12-acre former carnation farm in Littleton, and in 2015, the brewhouse opened its doors. 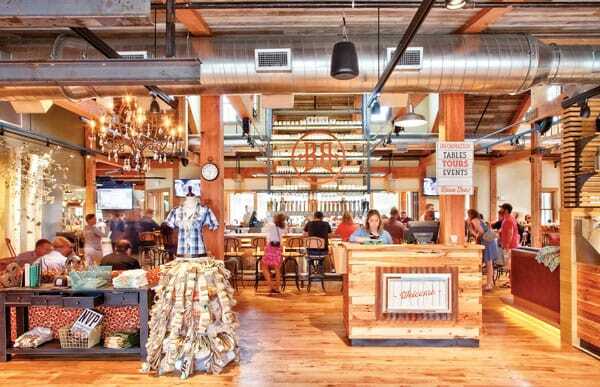 The campus includes a 100-barrel brewery, full-service restaurant, beer garden and a shop. The entire farm-inspired facility is state-of-the-art, yet it maintains a welcoming feel – even leashed and well-behaved dogs are welcome. The property has spectacular views of the Rocky Mountains, and the design of both the brewery and the restaurant incorporates Colorado’s love of the outdoors with the use of gorgeous wood throughout, high ceilings and large windows, allowing light to pour in and make visitors feel like the facilities blend with nature. Ninety-minute brewery tours are available Thursday through Monday and start in the tasting room with a pour from the daily beer selection on tap. Guests then go into the heart of the Bavarian-style brewhouse and learn about the brewing process, including a look into the fermentation cellar, barrel-aging room and packaging hall. Tours end back in the tasting room with more samples and the opportunity to relax and linger. Tours cost $3 for drinking adults and $1 dollar of the fee goes to a rotating charity. (In its first year, the South Suburban Park Foundation received $7,500, and Freedom Service Dogs received $5,000.) Working with different charities allows Breckenridge Brewery to stay connected to the community, which is important to the organization. Directly across Brewery Lane is the Farm House restaurant, which is a unique structure, but it is also an extension of the brewery. The full-service restaurant offers a stunning bar with 24 taps of both standard, experimental and seasonal beers. The dining room has an impressive stone fireplace and décor that is reminiscent of its name with an eclectic mix of comfortable armchairs, benches and high and low tables. The wrap-around porch is as comfortable as it is inviting and overlooks the beer garden, backyard with fire pits, corn hole games and a bocce court. Our meal started with a Vanilla Porter Glazed Pretzel, which is a pretzel loaf with a vanilla porter glaze sprinkled with Hawaiian black salt and served with agave wheat mustard sauce and agave wheat cream cheese. The pretzel on its own was sublime, but the mustard sauce took it to a new level. The Low and Slow Pulled Pork Sandwich with Old Home 471 Barbeque and Brussels sprout slaw on a caramelized onion roll with a side of homemade chips was tender and sweet, and when I got just the right amount of bun, meat and slaw on my fork, the flavors exploded in my mouth. The Chuck Wagon Burger with chef’s lettuce, hothouse tomato, red onion and Farm House pickles on a sourdough roll was juicy and fresh – as if the toppings came straight from the garden. The lunch and dinner menus include a “Little Farmers” section, as well as gluten-free and vegetarian options. Weekends offer a special treat with brunch on Saturday and Sunday and a new Farm House food truck serving the beer garden. Visit www.breckbrewfarmhouse.com for menus and reservations (for the brewery tour and meals). Monday - Thursday: 11 a.m. – 10 p.m.